On October 4th 2018, assisted dying campaigner, Omid T chose to end his life by a medically assisted suicide at Lifecircle near Basle, Switzerland. Although Omid was still awaiting the outcome of his landmark legal case, Omid’s suffering prevented him from waiting any longer. His death was reported in the Sun and the Daily Mail, among others. Omid’s lawyer has updated his CrowdJustice webpage accordingly. His lawyer Saimo Chahal said “I saw him shortly before he went to Switzerland and he told me that he could not bear living any longer and wanted nothing to get in the way of him having a peaceful and dignified death.” MDMD’s exclusive interview with documentary film maker Andi Reiss who was present when Omid ended his life is available here. Unlike Noel Conway, who has launched a separate legal case to permit assisted dying for those terminally ill, Omid’s case sought to secure the right to a dignified death for all mentally competent adults, facing years of unbearable and incurable suffering. Omid would not have benefited from Noel Conway’s appeal or the assisted dying bill put forward by Rob Marris in 2015. Living with Multiple Systems Atrophy (MSA) since 2014, Omid did not have six or fewer months left to live. Over 18 months MSA increasingly robbed Omid of the dignity he deserved. First he lost his independence and then his motor functions. Omid’s life became increasingly intolerable for him and eventually he became virtually unable to move and had very limited ability to communicate. Yet Omid retained his mental capacity and was still able to persistently communicate his desire for a medically assisted death, something denied by UK law. 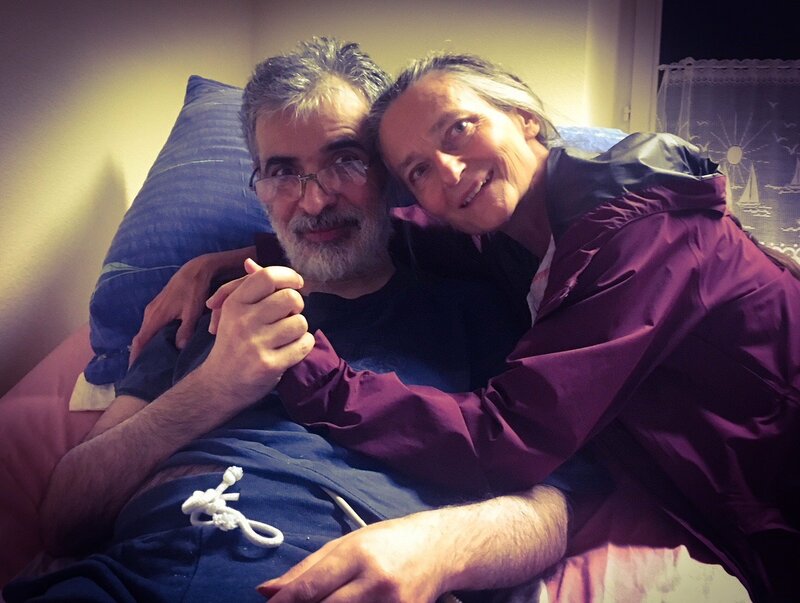 Unfortunately palliative care was inadequate for Omid and his life became unbearable, despite being in a high quality care home. On a previous occasion he attempted and failed to end his life unaided. He needed medical assistance. The circumstances which Omid was forced to search for his peaceful end in Switzerland, is a tragedy. Although he was eventually able to obtain a medically assisted death abroad, it took a lot of time to arrange, and put his family through a lot of additional trauma – hardly the good death he wished for. Debilitating medical conditions like Omid’s do not have to mean that someone cannot live a life they feel is worthwhile. It is up to the person themselves to form their own view. With the right support some can and do live fulfilling lives, despite the medical situations they have to endure. However this is not always possible. Omid is one clear example. It is not the medical condition alone which makes a life intolerable, it is in part also the way the individual is able to react to it. Some people, quite understandably, decide that for them their life is complete or cut short, and they wish to have a peaceful death rather than continue to suffer. Nobody, especially not those considered to be vulnerable, should be pressured or coerced into requesting an assisted death, but equally, nobody should be pressured or coerced into having to suffer against their will, nor be forced to continue to suffer by law, when that suffering is unacceptable to them, incurable, and they simply wish for a peaceful medically assisted death. Without a change in the law to legalise assisted dying for people like Omid, the doctor patient relationship is badly broken at a time when it is most needed. Suffers like Omid deserve better. They need independent professionals to discuss their wish for an assisted death with; to ensure they have carefully considered every alternative; and, if no acceptable alternative is available, to provide medical help to die. Omid’s legal case follows on from Debbie Purdy, Tony Nicklinson and others. 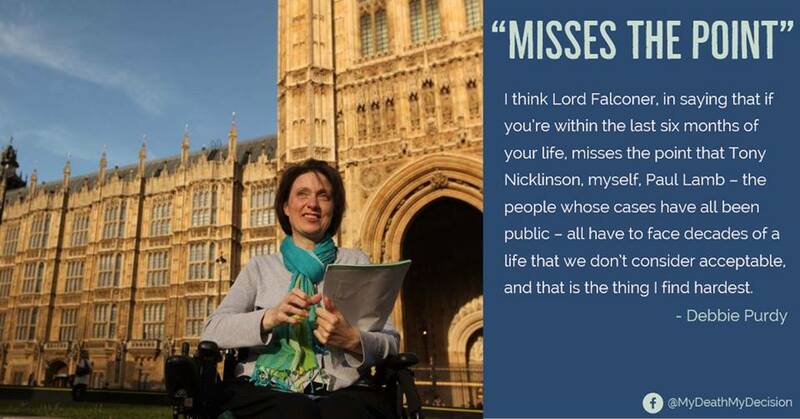 In his summing up of the Nicklinson case, Lord Neuberger, then President of the Supreme Court said “There seems to me to be significantly more justification in assisting people to die if they have the prospect of living for many years a life that they regarded as valueless, miserable and often painful, than if they have only a few months left to live”. This exactly sums up Omid’s situation. The UK medical, legal and political systems all failed him. We hope his efforts to change the UK system will eventually bear fruit. MDMD offers sympathy to Omid’s family for their loss; gratitude to Omid for his efforts to challenge the law; and thanks, on Omid’s behalf, to his family and friends who showed the compassion necessary to help him end his life as peacefully as possible under very difficult circumstances. The outcome of Omid’s case is expected soon. 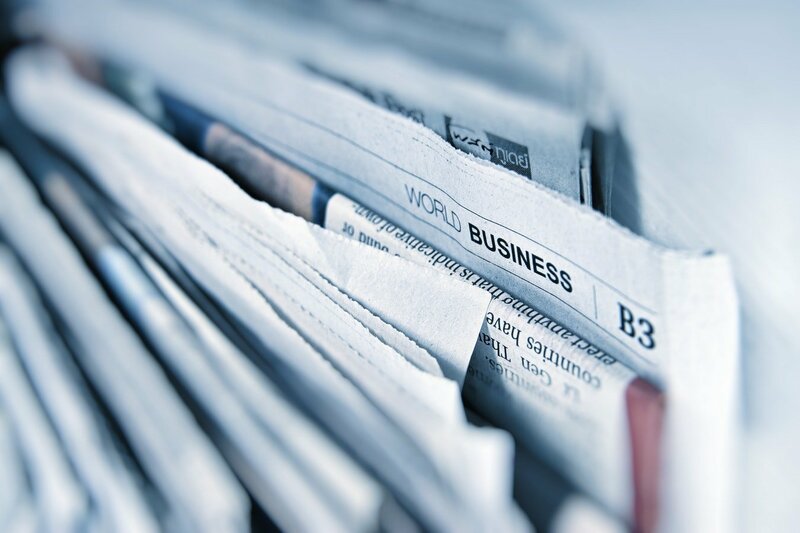 How the case will progress now depends on this ruling and on whether another person in a similar position is willing to carry the case forward. Omid’s lawyer would like to hear from anyone who might want to continue the case. 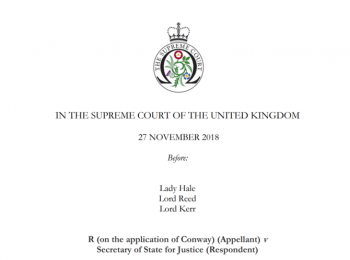 The ‘forfeiture’ rule and assisted dying – punishing compassionate families?